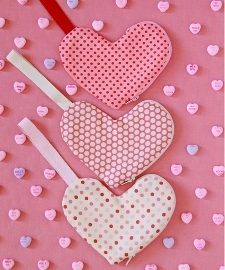 Head over to The Purl Bee to find out how to make this heart-shaped zippered pouch. Fill one with treats for Valentine’s Day! Go to the tutorial.